As summer is finally upon us, I am in a cheeky mood and getting more and more into polka dots. I've been trying all sorts of different polka dot designs so I decided to share some of my results. 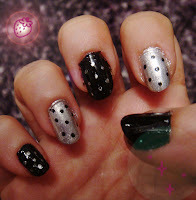 Right now I have a black x silver polka dot design on my nails and this is how I did it. 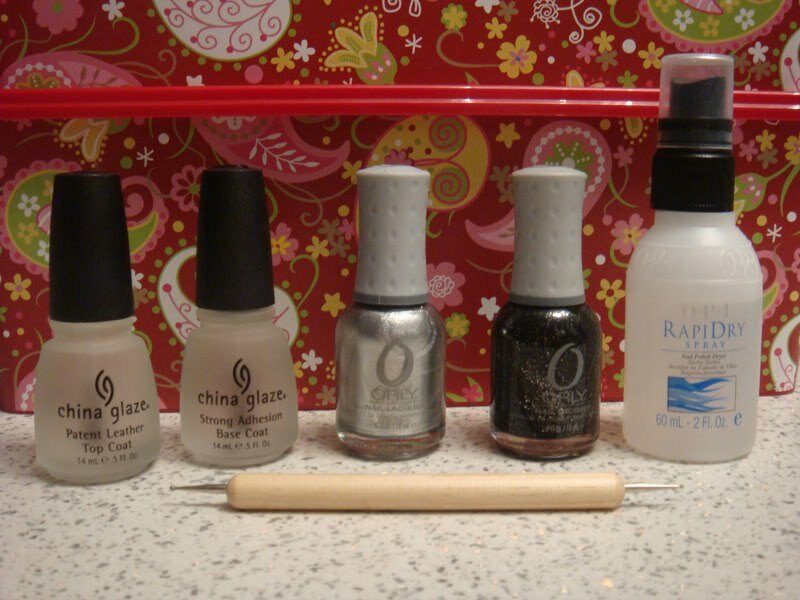 I used the following products. 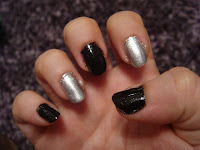 Black "Goth" polish and the silver from the foil series by Orly, China Glaze base and top coats, a dot brush and for the finish OPI fast dry spray (I am saved by this product because usually I keep ruining my manicures by randomly touching my nails here and there). After applying the base coat I painted my nails to look like this. Waited for them to dry a bit and then using the dot brush I did the polka dots(if you don't have one, a toothpick will produce the same effect ^_^). Waited a bit for the dots to dry too and then applied top coat and used the spray too. This is the final result. I also did the same design on my friend's nails, using pastel colours (mint and pink) by H&M and Anna Sui and this is how it came out. So the design works well with all sorts of colour combinations and it is very simple to do as well.